In a new paper, we look to shed light on the unhappiness and frustration of this understudied group across several regions as a first step to seeking solutions. 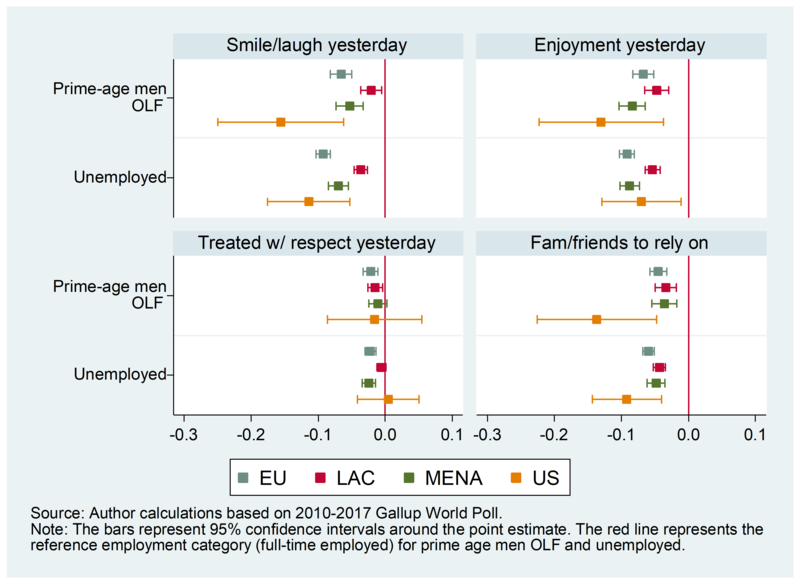 We examine prime-age males OLF across four regions: EU, Latin America and the Caribbean (LAC), Middle East and North Africa (MENA), and the U.S., based on data from the Gallup World Poll from 2010-17. 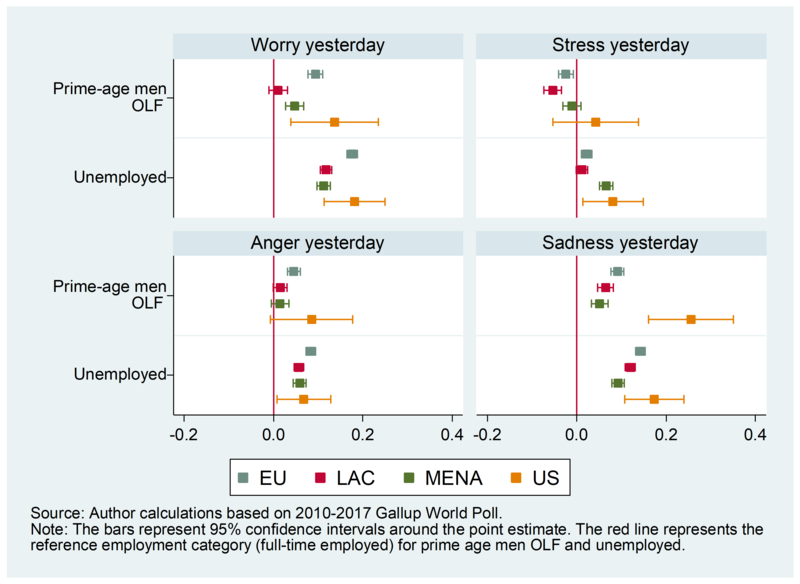 Our analysis provides a more nuanced picture of the well-being and ill-being of prime-age males OLF around the world than the common narrative suggests. OLF males are not the poorest group in any of these regions, and are closer to the low, vulnerable end of the middle-class in their locales. While their household incomes are below the average for their countries, they are often slightly higher than those of the unemployed. 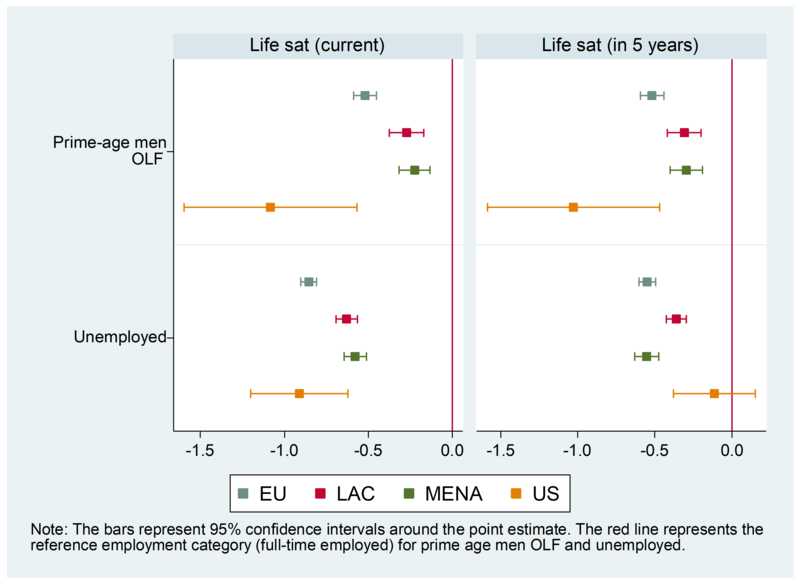 In the developing regions of LAC and MENA, individuals who report to be out of the labor force may also work in the informal sector and earn comparable incomes to the formal sector, though with more unpredictability. 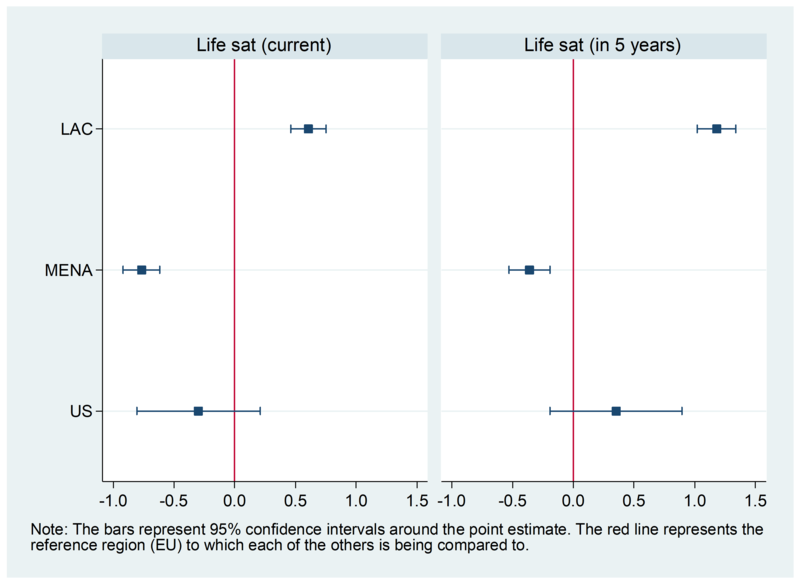 In the U.S., OLF males are often on disability or other social insurance programs, while in Europe there are widely available and generous social welfare programs.